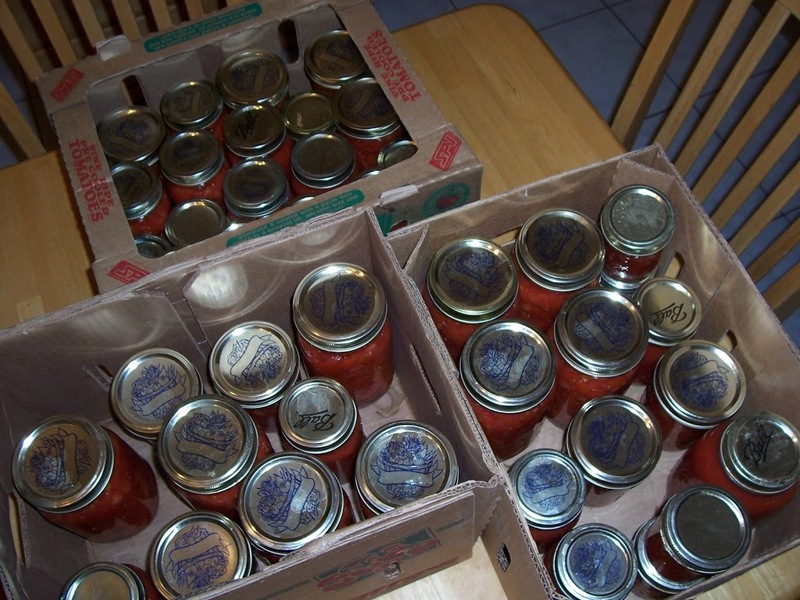 The jars have cooled and now I have the “problem” of finding places to store them! I jokingly call the coat closet my cellar. This is right about the time I pack away our winter clothes so I have some room in the coat closet for two boxes. I will try to squeeze the other box in my pantry. Oh the pasta sauce, chili, salsa we’ll enjoy!! 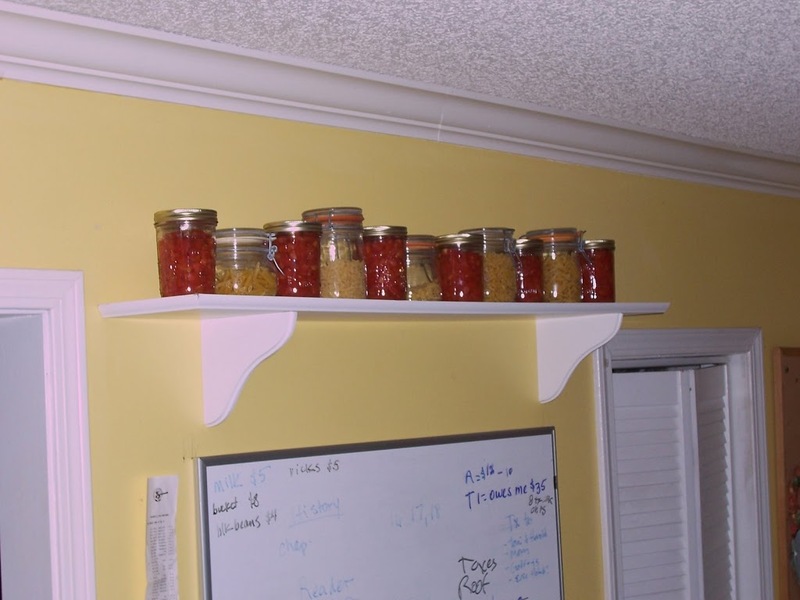 Last year I had my husband and dad put in a shelf above my white board in the kitchen so I could have space to display/store my pretty jars. When the jars were gone this year I replaced it with pasta. Now they are sharing space!